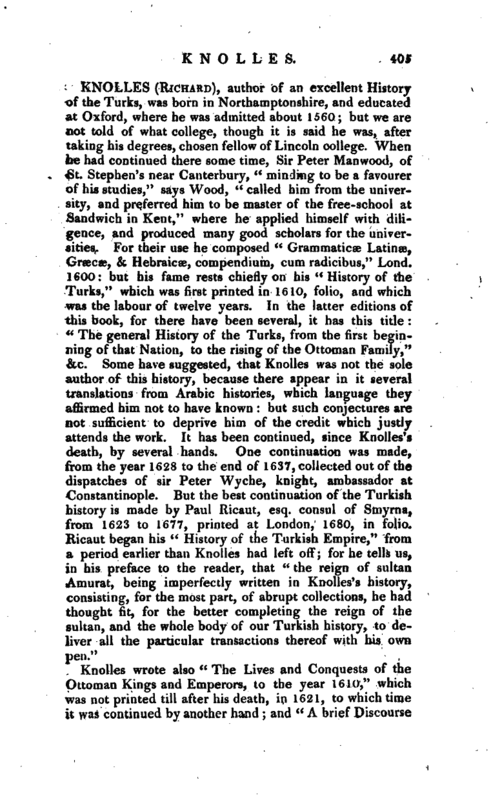 Knolles wrote also “The Lives and Conquests of the Ottoman Kings and Emperors, to the year 1610,” which was not printed till after his death, in 1621, to which time it was continued by another hand; and “A brief Discourse | of the Greatness of the Turkish Empire, and wherein the greatest Strength thereof consisteth,” &c. He also translated Bodin’s “Six Bookes of a Common-wealthe,” 1606, folio. He died at Sandwich in 1610, and left behind him the character of a learned and worthy man. Ath. Ox. vol. 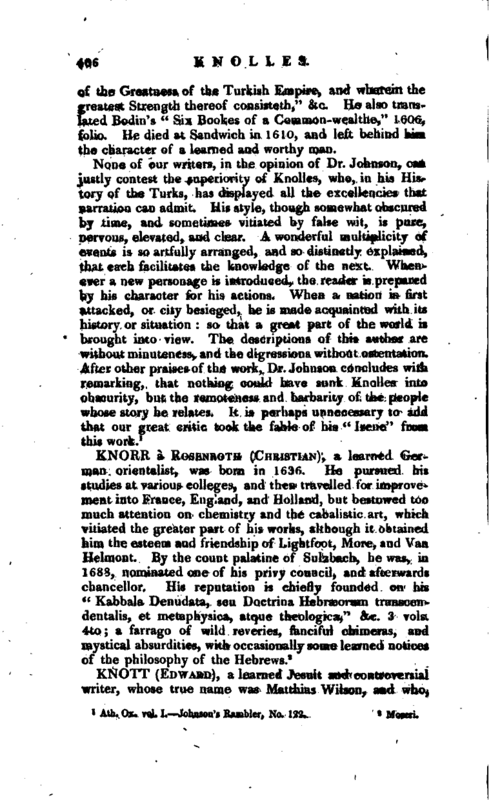 I. Johnson’s Rambler, No. 122.